Becoming a parent involves a whole lot of top notch organisational skills. There’s furniture to buy, budgets to consider and names to choose. Safety and style don’t have to be separate. When it comes to window coverings, we’ve got you (and your windows) covered. Here’s everything you need to think about when choosing the perfect blinds and curtains for kids. In 2010, Australian regulations were put in place to ensure safety was the top priority when installing blinds and curtains. Prior to the regulations coming into force, 13 children had died after being strangled by cords. The regulations ensure that window coverings are installed correctly, with the cord secured to a surface at least 1600m above floor level. Of course, there are also other things you must consider when furnishing the room for your child. 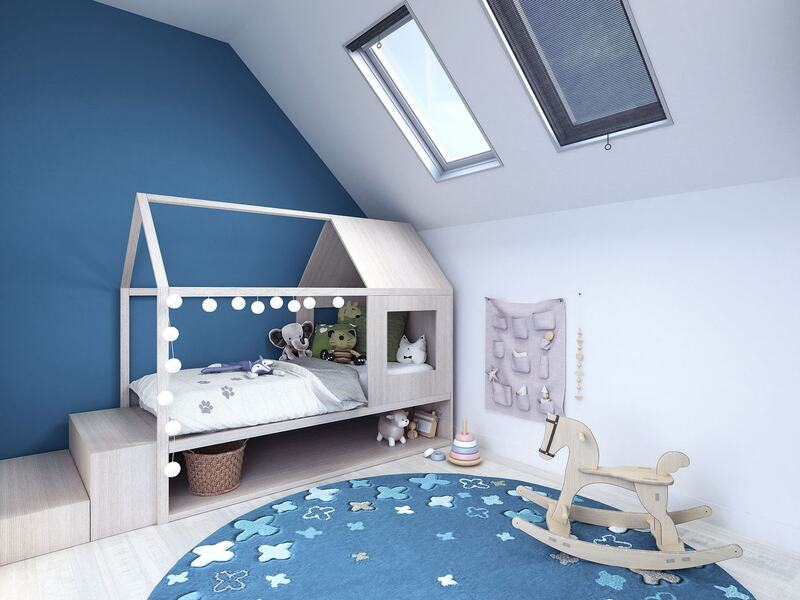 Keep furniture away from windows – children love to climb and they will find their way to the top of the chair or on to the rails of the cot. If you can’t move the furniture away, ensure all blind cords are either fixed to walls or positioned safely so the child cannot reach them. If you can, opt for motorised blinds – being completely cordless, they’re perfect for a child’s room. With the increased adoption of battery powered motors this is becoming an easier and more cost effective option. Don’t choose patterns that include large beaded decorations or any other embellishments. Another element to consider when choosing blinds or curtains is the amount of light they let into the room. 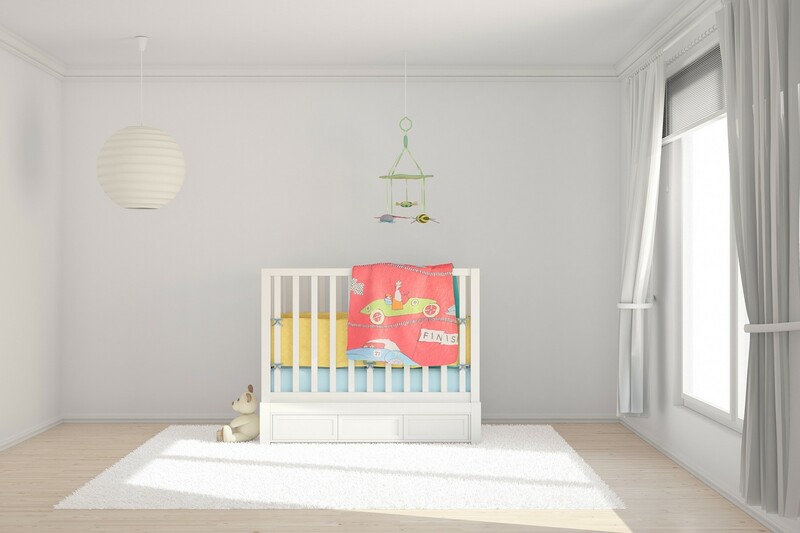 Children need sleep and when they’re little, they need a lot of sleep, so you need to create a sleepy environment for them and this means darkness. Sleep is controlled by melatonin which is a neurotransmitter that helps everyone go to sleep, and stay asleep. Naturally, it is triggered by darkness. So, the lesson here? If you want your baby or child to sleep, make sure their room is dark. Blockout blinds are a great option here. They block out the light for those handy day naps, ensure the light doesn’t wake your child too early in the morning and block light coming from streetlights or cars during the night. Children are also sensitive to temperature when they sleep. While most people assume kids need to be warm and cosy, they actually need quite a cool room to fall asleep – around 16-20 degrees Celsius is ideal. The right window covering helps control the temperature in a bedroom. On hot or extremely sunny days, closing the good quality blockout blinds or curtains will help keep the room cool. The addition of top pelmets to either curtains or blinds help both further insulate and reduce light. An alternative to internal blinds or curtains are external window coverings. This blocks the heat before it even reaches the windows. Don’t think for a minute though that just because you want to be practical that you need to be unfashionable. Nope, you can still prioritise the look of your blinds. 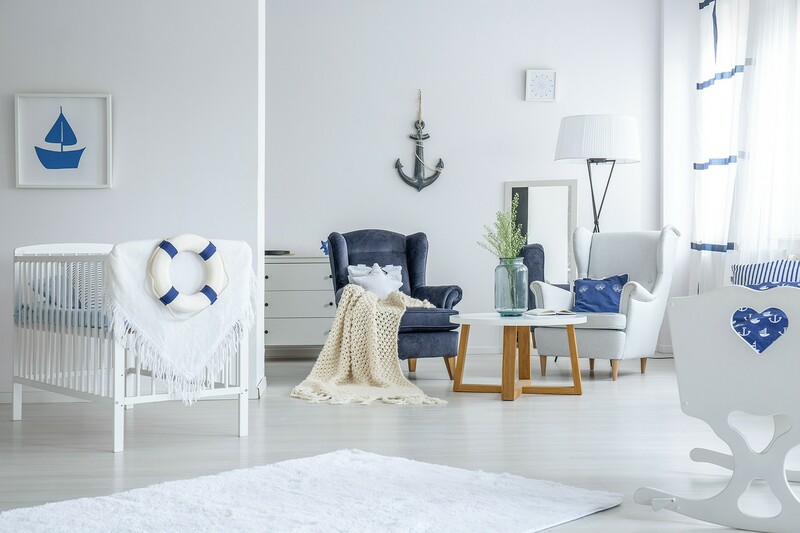 Think about creative elements like Introducing a pattern or colour, or tying your window coverings into a theme (like bold blue for nautical or a grass green for jungle). There’s so much to think about when it comes to kids. 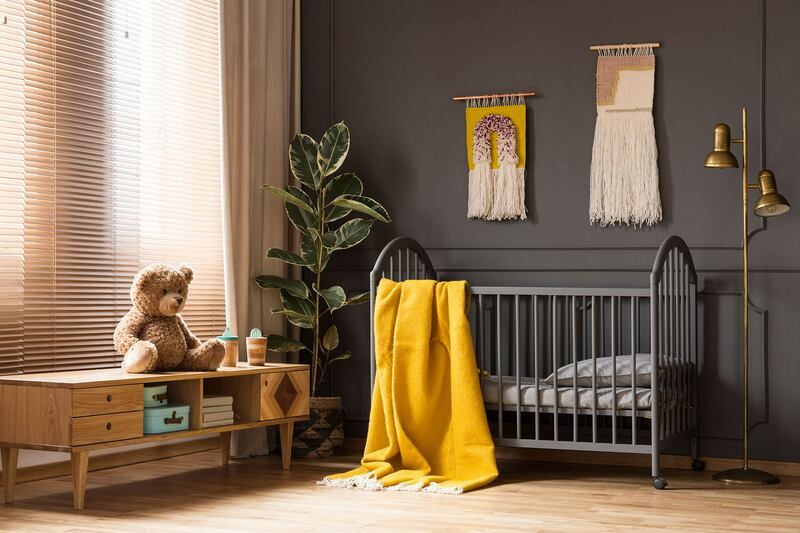 Whether you’re decorating a room for your newborn or your teenager, it’s all about combining safety, comfort and style. Need to install some window dressings in your child’s room? Get in touch with our team today.